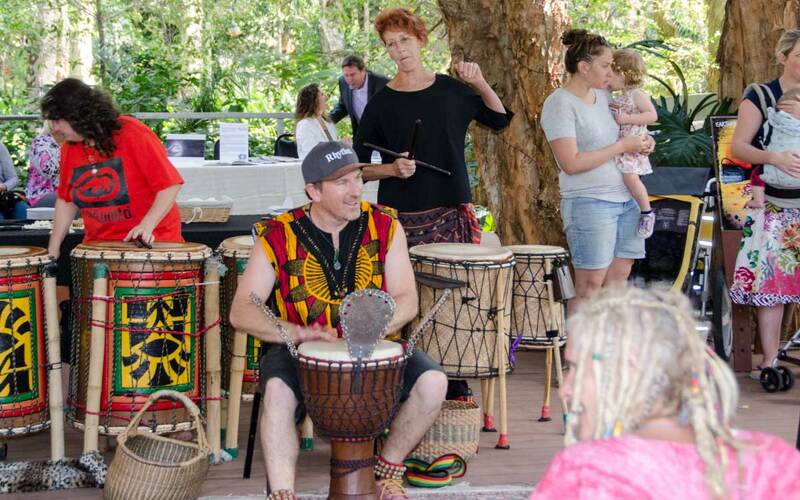 These dynamic classes will help you learn the art of djembe drumming, relax and experience joy of rhythm. Whether you are a beginner just starting out or advanced level wanting to be pushed to your limit, there is always something more to learn or experience. Each class hosts a full array of djembe, bougarabu, bell and dun dun patterns. If you fancy one instrument over the other let us know. Beginners – This class will help you get the basics, turning beats into rhythms. The class is a safe and fun learning environment that will support you in your understanding and rhythmical ability. Djembes, Bougarabou’s and dun duns are available to play, so you need not worry about having your own drum (see our gallery to put names to drums). Just come with an open mind, loose clothing and be ready to live! What rhythms are played? – All rhythms are sourced from West Africa and occasionally fused with inspiration from Australian percussionists. Ages 14 and up. Drum Hire Available.